Looking to adapt to changing job demands or new career opportunities? The Adapt and Grow initiative by Workforce Singapore is here to help you, your family and your friends, regardless of where you are in your career journey. Also visit the Technology Garden and learn first-hand how technology is helping people at work from our partners. Approach our friendly Adapt and Grow ambassadors or explore the various interactive zones to learn more about the initiative. 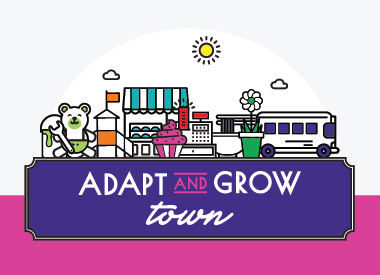 We look forward to seeing you at the Adapt and Grow Town Roadshow! *All information is correct at the time of updating the website and tenant reserves the right to amend the Terms & Conditions without prior notice.